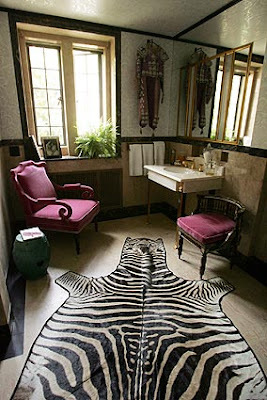 A legion of celebrated designers are participating in a showhouse at the historic 1920s estate, Greystone. The house is scheduled to open for tours tomorrow, November 1, and the list of talents contributing includes: Mary McDonald, Tim Clarke, Nancy Goslee Power, Stephen Block, Michelle Nussbaumer, Peter Dunham, Ames Ingham,, Kathryn Ireland, Windsor Smith, Nathan Turner, Suzanne Rheinstein and so many other tastemakers. Mrs. Rheinstein will speak on November 9; her talk will be followed by a garden party from 2 to 4 p.m. For tickets and details click here. Rheinstein photo is by Corey Walter for domino. Also starting tomorrow, Hennessey Ingalls' annual sale. 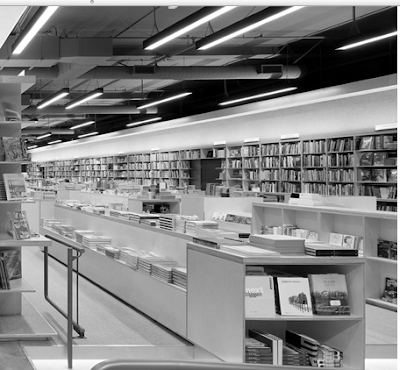 Twenty percent off all art and architecture titles, in store and online. Reader Michael was kind enough to send us a link to the LA Times coverage of Greystone. 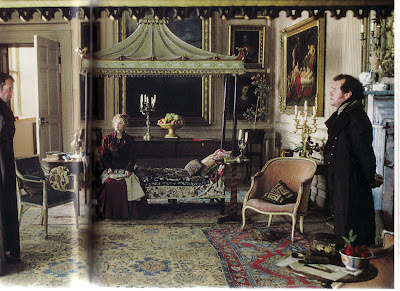 Image above is © Mira Nair, Vanity Fair: Bringing Thackeray's Timeless Novel to the Screen, Newmarket Press, 2004. See also the official site for Vanity Fair. 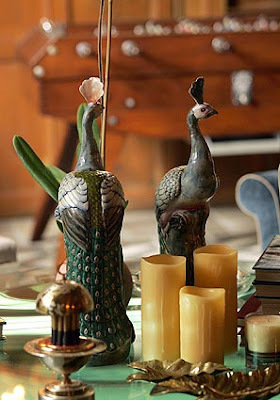 Above, Windsor Smith's master bath; below, peacocks in Tim Clarke's game room. The showhouse is presented by Veranda. This week while on assignment for Atlanta Intown Paper, I visited Paper Source, the newly opened emporium on North Highland Avenue. 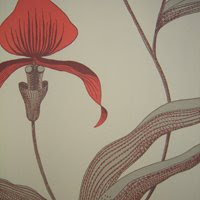 The shop has a stellar collection of decorative Japanese paper and I left with a few sheets in my shopping bag. Although this durable paper is generally used by crafters and artists for special projects, I like to use it occasionally to wrap small gifts. It costs between $7 to $10 per sheet, so using it as wrapping paper isn't the most economically sound idea. But for a friend who will appreciate it, the exquisite paper really elevates a humble gift. Some of my friends and I purposely exchange inexpensive birthday presents that are all about the personal meaning, and it's fun to cover these kinds of gifts in luxe trimmings. The warm tones shown here are nice for fall. Imari-inspired paper is on the package above. As Gotheborg explains, "Imari" is really a Japanese harbor located near the Arita kiln. In the West, the term "Japanese Imari" has become the trade name of a Japanese ware with a decoration usually in underglaze blue with added red, gilt and occasionally green enamels. 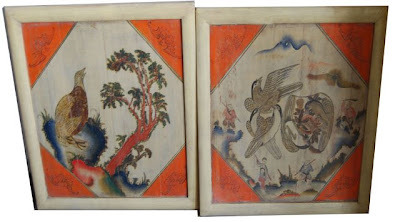 The Eastern name for this style of decoration is aka-e (red painting) and was first produced around 1640. The papers above are suggestive of a Japanese textile. 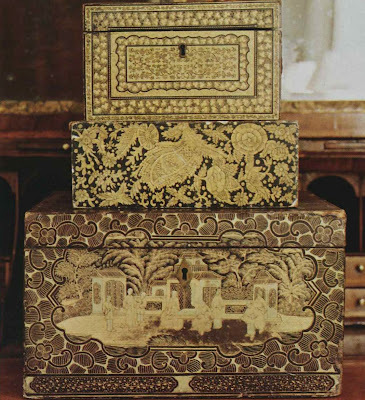 Speaking of luxe, Asian-style packaging, a few months ago I had the pleasure of researching a story about lacquer for Southern Accents. Two talented decorators offered some input: Phoebe Howard (she found the gorgeous antique boxes above) and Charlotte Moss. Not surprisingly, Ms. Moss had an incredibly sumptuous idea when it came to creative uses for the boxes -- simply add a lavish ribbon and make one a gift box! For more see the November issue. As tastemakers Stiles T. Colwill and Jonathan Gargiulo tell Southern Accents, finding that perfect present for a friend can be a fun, lingering process if you start in advance. Keep in mind "your friends' collecting passions, taste in literature, love of art, culinary flair, or sense of humor." 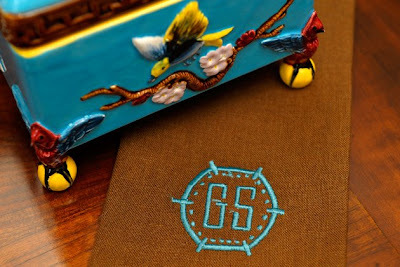 It seems Colwill and Gargiulo's one rule is "If you come across an item engraved or monogrammed with a friend's initials, you know it was meant to be." So snap up the random silver spoon with the appropriate monogram and pair it with some home baked goods and tea or your grandmother's recipe for gumbo. 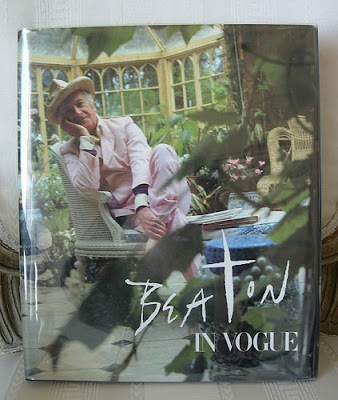 Look for a vintage decorating magazine published during your friends' favorite era. Make the gift memorable and savor the thrill of the hunt. And here's a sneak peek: Next week when I'm guesting over at daily dose, I'll highlight textiles paired with varied styles of furniture as well as a Louisiana designer's beloved "forever" chairs; she sat in them as a kid when she watched The Brady Bunch, and she plans to one day take them along to the nursing home. 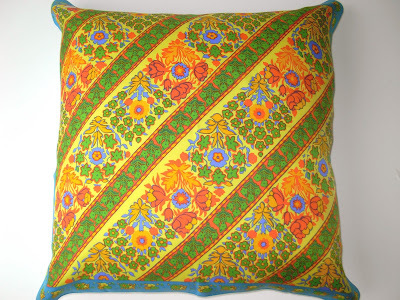 The fabric in image three is Kashmir Paisley. More on that to come. For those of you in Atlanta who just want a chance to borrow the book for a while, six copies (total) are supposed to be available through our public library system. The four branches that currently have one copy are Alpharetta Branch, Roswell Regional, Sandy Springs Regional, and South Fulton Regional. Central Library has two copies. Good luck! I've mentioned Bonnie Cashin's graffiti wall before but I've never highlighted her Chinese screen. The lush colors of the latter were also splendid and served as the perfect backdrop for her sleek mid-century furniture. 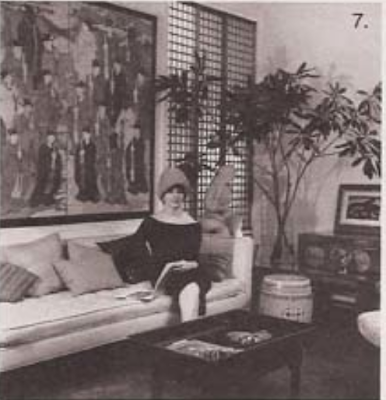 Below is a grainy image of Cashin in her New York apartment in the 1960s. A little something to satisfy everyone craving more new episodes of Mad Men. 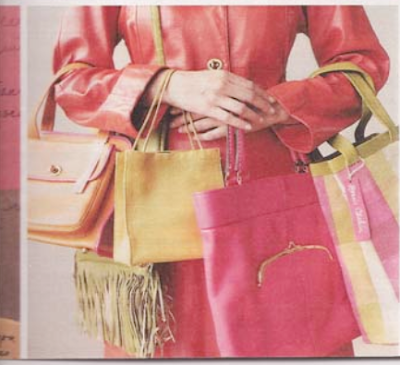 If you are not familiar with Bonnie Cashin, much of her visionary aesthetic, especially her color sense, can be seen today in the looks coming from J Crew. The bags below are circa 1968. 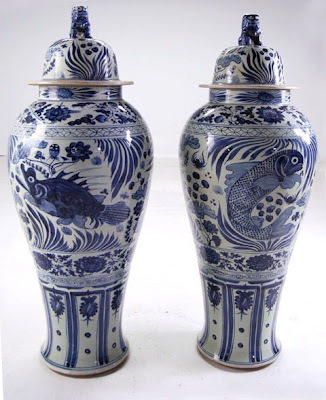 For a variety of Asian pieces, visit Pagoda Red. 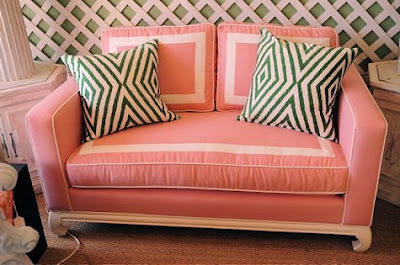 Recently a style-savvy magazine challenged me to find furnishings with classic forms and small price tags. Vintage and thrift shopping was not allowed in this challenge because the pieces needed to be readily accessible to all. 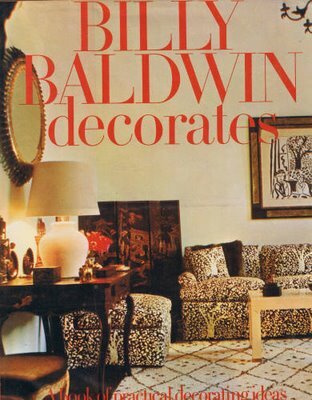 So, as a jumping off point, I turned to the timeless 1972 book, Billy Baldwin Decorates. Surprised? It's true that most of Baldwin's clients had large decorating budgets, but I think perhaps he had seen quite a few over-the-top rooms in his day. He preferred understated things and seemed to contemplate what makes good design, regardless of cost. "The appearance of simplicity and honesty. Rooms suitable for their use and created with an awareness of budget and maintenance cost." "Clear clean colors...fresh flowers always." 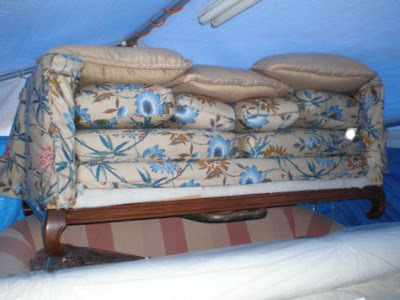 "The use of small-scale upholstered chairs, easily moved." Baldwin also gravitated toward Asian accents, natural fiber rugs in soft tones and tailored armless furniture. He said nothing dates a room like an old fashioned lamp. BTW: I was flattered to be asked to contribute to this November In Style story since the ultimate deal finder, Grace, a.k.a. design*sponge, was involved too. Be sure and see her page in the magazine. 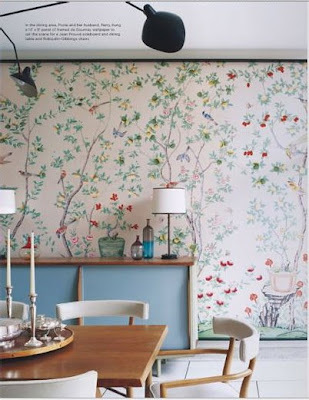 Hand-painted 18th-century Chinese wallpaper -- or newer designs inspired by it -- seems to be one thing everyone can endorse. People of all ages and political persuasions love it. The paper makes a wonderful foil for sleek mid-century furniture (a look mastered in the 20th century by Billy Haines and done more recently, shown directly above, by North Carolina designer Barrie Benson). But of course it rocks in stately houses. When Nancy Reagan, a longtime fan of Haines, moved to the White House in 1981, she sought guidance from his firm, William Haines Inc. By then Haines had passed away; associate Ted Graber, who had inherited the business, worked with Mrs. Reagan. 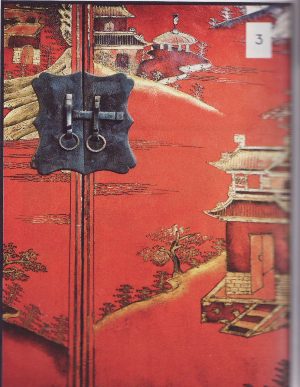 For her master bedroom, they selected iconic Chinese wallpaper. Although at times very traditional, the Haines look is never fussy. Note the tailored headboard, slightly larger lamps with drum shades, and clean-lined valances at the windows. Haines' style is said to have resonated with California couples like Ronald and Nancy Reagan, and their close friends Ambassador and Mrs. Walter H. Annenberg, and Alfred and Betsy Bloomingdale, because Haines successfully combined rugged, modern elements with softer feminine pieces. 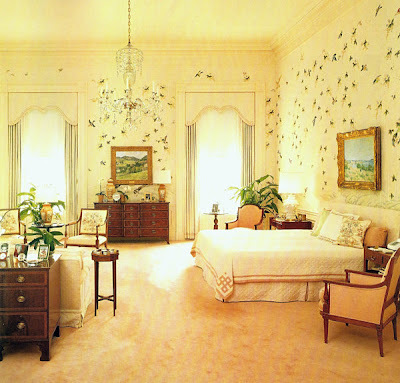 The Reagan images are courtesy Architectural Digest. For more views of White House interiors, visit the "unofficial" White House Museum. 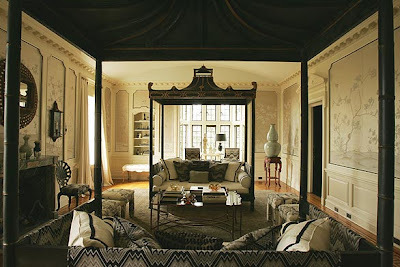 The Benson image is courtesy domino, and the two images at the top show antique wallpaper installed by Haines at Winfield House, the U.S. Ambassador's residence in London, circa 1969. 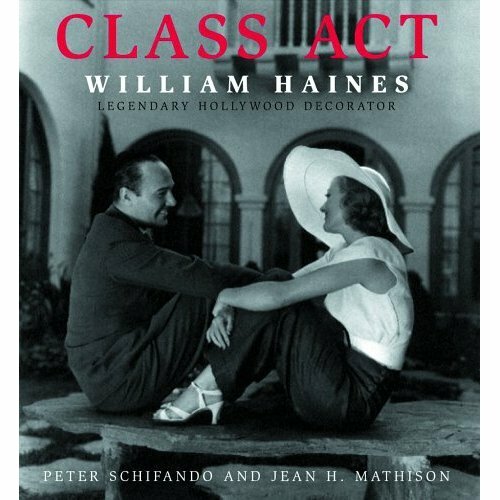 For more on Haines see William Haines Designs or Class Act: William Haines Legendary Hollywood Decorator. Mention the White House and design in the same sentence and controversy is sure to begin. Since 1800, when President John Adams and his wife, Abigail, occupied the residence, each First Family has made changes and additions. Some First Ladies have been resourceful in securing private funds to spruce up the landmark, and they have used their position to promote American craftsmen and small businesses. 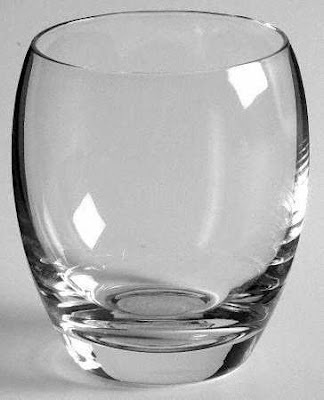 For example, in the early 1960s when Jackie Kennedy selected Morgantown glassware produced in West Virginia for official White House use, she apparently wanted to highlight an authentic American craft and, at the same time, assist a seriously impoverished region. 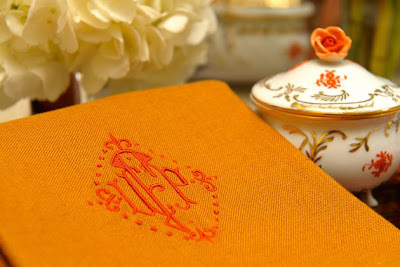 Of course, the private quarters of the White House are where most First Ladies put their personal stamp. 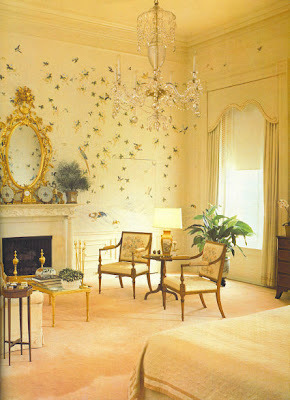 Can you guess which First Lady selected this handpainted wallpaper with guidance from an iconic design firm? 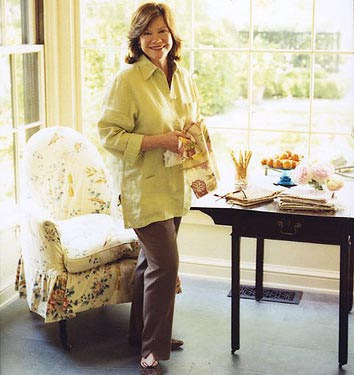 Speaking of Jackie, check out Rubie Green's new cotton named for the tastemaker. Click here for a related past post. The glassware show here is the "President's House" made by Morgantown. Images are courtesy Replacements. Visit Old Morgantown to learn more. In the next few days I plan to switch all my files over to a more powerful computer. Hopefully this won't interfere with posting, but in case it does, I want to leave you with one more relatively inexpensive tip from Albert Hadley and Sister Parish. It's been said that, more than any other 20th century decorators, Sister and Albert dedicated themselves to good housekeeping. According to Parish-Hadley: Sixty Years of American Design, when Sister pulled up to a new site in her station wagon, she often went straight to the client's hall closet or mudroom. She wanted to know how the gears of the house were running, and she was known to say, "The linen closet is too small. What we need is a linen room." 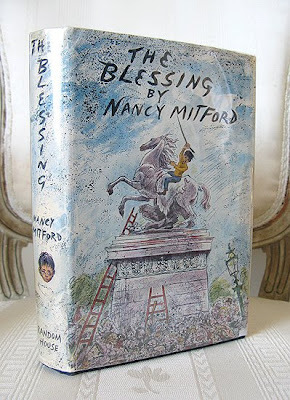 "In Mrs. Parish's linen rooms, squares of cardboard covered in pretty patterned wallpaper are inserted between napkins and placemats of different color or design, so that if you want to use the pink ones at the bottom of the stack, they can be removed without disturbing the others." I'm sure Eddie Ross has similar dividers in his closets! The linens shown above are from Leontine, and the wallpaper is from Walnut. The image of Albert and Sister is from Parish-Hadley: Sixty Years of American Design. 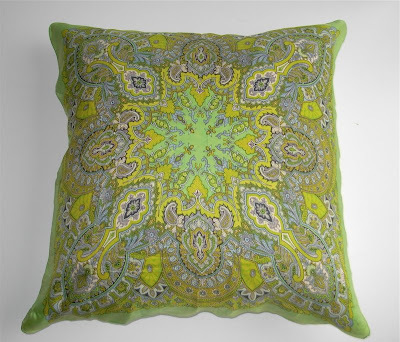 Eddie Ross just put together a helpful blog post about making pillows from scarves. His tutorial reminded me of the Bouvier sisters. 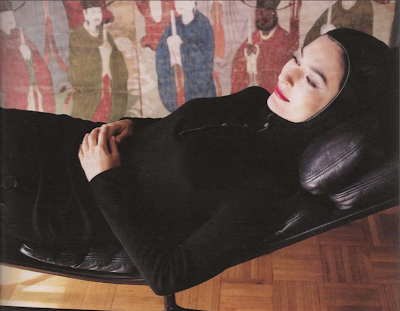 (The other day I mentioned that in the 1970s Jackie O had sofa pillows made from her own Liberty silk scarves, and I think many of you already know that her sister, Lee Radziwell, had dining room walls covered with lacquered scarves.) A glance through vintage decorating books indicates that many other tastemakers enjoyed finding new uses for scarves too, especially in the late 60s and throughout the 70s. 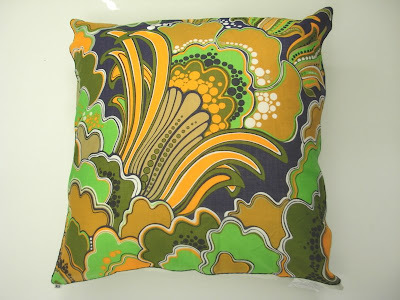 If you are not a hands-on person, The Baobab Tree, a UK-based shop, sells pillows made from vintage Liberty scarves, as well as untouched scarves that can be used however you please. 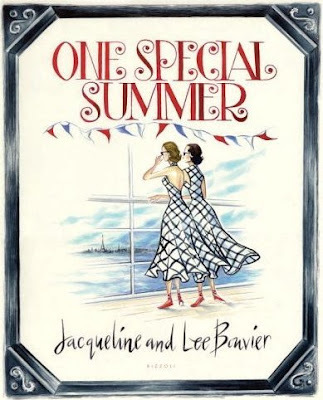 Book cover image courtesy Amazon.